Natalie graduated from Bristol University in 2014 with a BSc in veterinary nursing and bioveterinary science and has worked as a referral nurse ever since. She started working in a busy referral hospital straight after graduation where she developed her passion for neurology. 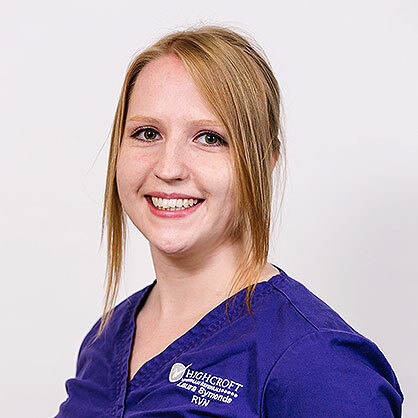 In January 2019 Natalie joined Highcroft Veterinary Referrals as a neurology nurse. 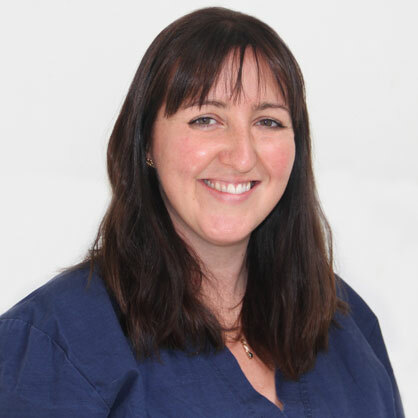 She has a particular interest in the post-operative management of neurological patients and enjoys aiding them in their rehabilitation and is working towards obtaining her VTS in neurology. Outside of work Natalie enjoys spending time with her husband, often rock climbing, snowboarding and dancing. When not doing extreme activities, she enjoys cooking, reading and drawing.